They say fashion comes in cycles; what was hip then, will probably grace the runaways again soon enough. But just because your favorite pair of distressed jeans might become cool again in a decade or so doesn’t mean you can’t slip on another pair until then. Don’t be scared of trying out the newest trends hitting the streets and experimenting with your look. Technology has made it easier than ever to stay updated. Sure, not every viral Internet sensation is going to be to your taste, but that shouldn’t stop you from staying aware of what’s making the rounds. Trust us, nothing induces FOMO faster than hearing a reference that flies completely over your head. Lol, YOLO, ngl, btdubs, tl;dr, imho, TFW—what may seem like a random selection of letters to the uninitiated can actually convey a whole lot of meaning. Make sure you always know what’s being said by knowing the language being used today, whether it’s urban slang or netspeak or what have you. Every now and then, your old favorites will get makeovers or come out with something new that might not be as familiar to you. Instead of keeping your blinders on and sticking to just the original that you’ve loved for years, give the new flavor or variation a chance. It might just be an experience that you wouldn’t want to miss—such as the Mentos Incredible Chew, the soft, chewy candy incarnation of the classic Mentos dragée (pronounced "dra-jay," which refers to a soft candy with a crunchy coating—like Mentos!). It promises a whole new sort of long-lasting, chewing fun! We’d like to think the the world is becoming a more tolerant place to live in. People are finding it easier to express their personal choices and truly be themselves. Without a doubt, our culture is evolving, becoming more open and accepting, and if you want to keep up with the times, you need to learn how to ride the tides of change. Change is the only thing that's constant in this life, so embrace it and try something new today! 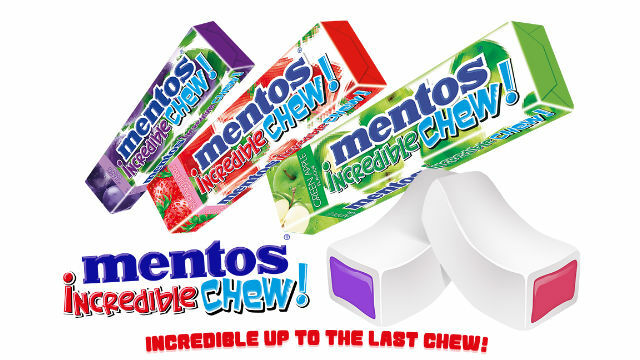 Try Mentos Incredible Chew by ordering it online from Lazada. This article was created by Summit Storylabs in partnership with Mentos.